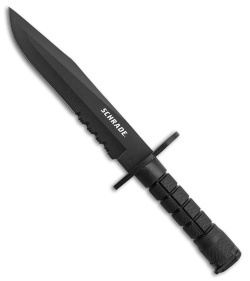 The Schrade Combat Knife SCHF6BFCP is an affordable addition to your self defense arsenal. Black finished bayonet blade with partially serrated 420J2 steel. Black molded plastic sheath with built-in sharpening stone and loop for belt carry.